What are some of the most common reasons companies invest in Employee Advocacy? 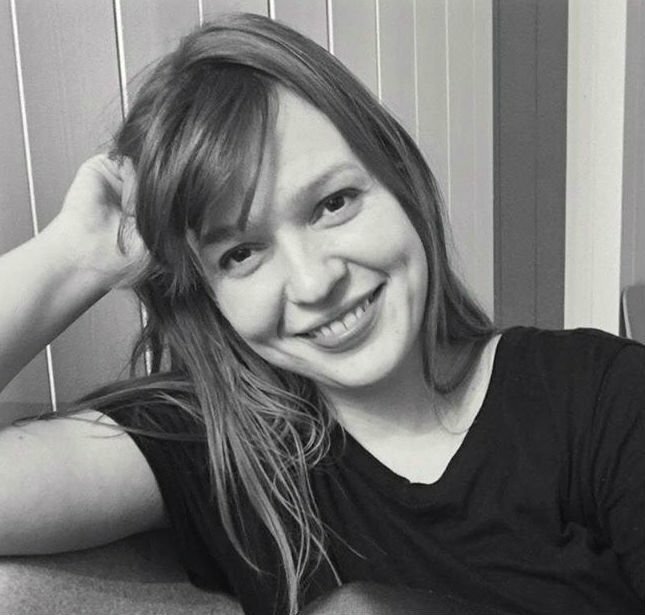 Why do employees use a shared Employee Advocacy app? The potential of Employee Advocacy has not gone unnoticed in the last years. 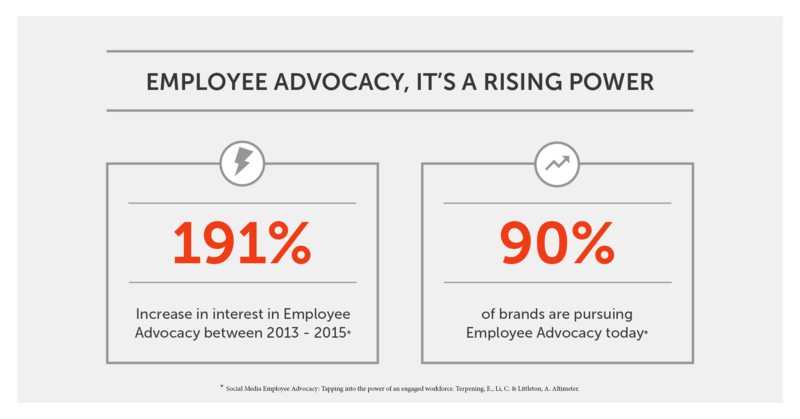 Interest in Employee Advocacy has increased by 191% between 2013-2015, Altimeter reveals. 90% of brands now report that they are pursuing Employee Advocacy one way or another*. The benefits of Employee Advocacy are multifold, when linked to goals set for the program. Most often, the benefits are associated with HR, marketing and sales. Reach, website traffic, employee engagement and employer branding – these are just a few. However, there’s potential for company-wide benefits on the management and individual level, when engagement with the program yields systematic results. Companies have different focuses on their Employee Advocacy initiatives. While some may have a purely figures-oriented approach for specific departments, some may treat their employees’ thought leadership and personal brands a high priority. Most often, it’s a combination of several motivations, rooted in both the strengths and issues of the organization. Brand reach and visibility is one thing; companies also consider the quality of brand awareness. Employee Advocacy has been shown to also increase loyalty towards the brand**. Whether this is attributable to increasing trust or the consistency of content, loyal followers have the potential to greatly boost engagement and positive word of mouth on social. Yekemi Otaru, former Software Marketing Strategy Coordinator and admin for Smarp at LR Senergy described the power of sharing content as an inbound tool; content can make customers to pursue the brand instead of brands pursuing them. What’s in it for the individual? Employee Advocacy is a flip-sided coin for employees and the employer, where both sides contribute to the success of the other. Shared benefits rank highest, when employees are asked why they share company content through their personal social media accounts*. It’s not just a case of becoming personally influential with the help of the brand name, but about also building up the brand along the way. It’s a story our own data also supports. A platform-wide survey of Smarp’s users was conducted in 2015, and based on the results, both personal and employer come out as major factors for sharing content through the app. 70% of respondents state that they use Smarp to establish a professional image for themselves on social media***. Personal branding relies largely on content – content that is tailored to each channel, and this is where a content hub like Smarp helps sustain a professional feed of relevant, industry-specific content. Employer branding also remains an important motivation for sharing professional content on social media. 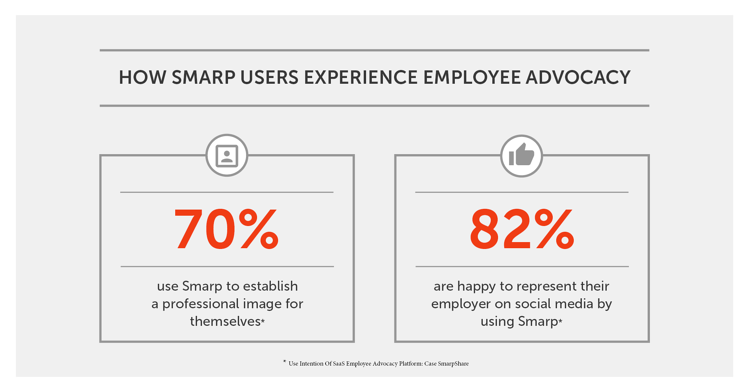 Over 82% of respondents to Smarp’s survey stated that by using Smarp, employee advocates are happy to represent their employer on social media***. With trust towards institutions and authorities fading, Employee Advocacy is more important than ever. While each company must decide for itself whether they are ready to make those small investments to make Employee Advocacy work for them, the fact is that brands need to capture the attention of their audiences, and more so, they need to do it in a way that is authentic and lasting. Communication trends will call for quick adaptation and tools to engage employees more closely. Last year, Smarp took a step towards a stronger focus on internal communications to engage employees both internally and externally. We’d love to hear some of your thoughts on why you consider Employee Advocacy to be important! Want to find out more about Employee Advocacy? Download our free guide below.